MUMBAI: International Institute for Corporate Sustainability and Responsibility (IICSR) is an informational, advisory and consultative services Organization on CSR, Quality and Sustainable Development supporting businesses and Governments. IICSR supports and nurtures international cooperation on all issues relating to CSR and Sustainability including the training and research needs of CSR and Sustainability professionals. IICSR organizes roundtables, summits for the industry for the exchange of knowledge, networking and acknowledging the best practices. BSE Sammaan is a fully owned subsidiary of BSE Ltd. BSE Sammaan has a mandate of Transforming the CSR and Social Development ecosystems by leveraging technology as well as setting standards in the space through development of path-breaking models such as the Sustainable Development Framework. 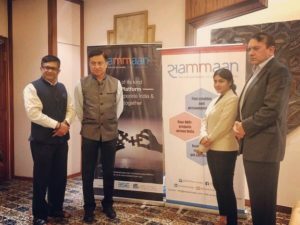 With over 1,300 credible NGOs on its platform that includes Project Management and Reporting, BSE Sammaan has become a trustworthy partner for Corporates in simplifying their CSR and making it more impactful. BSE Sammaan and IICSR have signed an MOU to establish a series of industry-specific Frameworks to rate the corporates on the maturity of their Sustainability and CSR practices. The CSR and Sustainability maturity model is based on the 17 Sustainable development goals (SDGs) along with business challenges faced by different industries. This is the first step taken to measure, monitor and rate corporates and NGOs in India. Satish Jha, Co-founder and Board member of IICSR, observed that SSRM is a necessary step in making CSR efforts both measurable and comparable and will offer its users the necessary tools to manage their CSR engagements and achieve their goals more predictably.